Best remembered as an American cartoonist who created the Addams Family and known for his particularly black humour and macabre characters, Charles “Chas” Addams, sadly Passed Away on September 29, 1988 at St. Clare’s Hospital and Health Center in New York City. Born 7 January 1912 in Westfield New Jersey, His father encouraged him to draw from an early age, and Addams did cartoons for the Westfield High School student literary magazine, Weathervane. He attended Colgate University in 1929 and 1930, and the University of Pennsylvania, where a fine-arts building on campus is named after him, in 1930 and 1931. 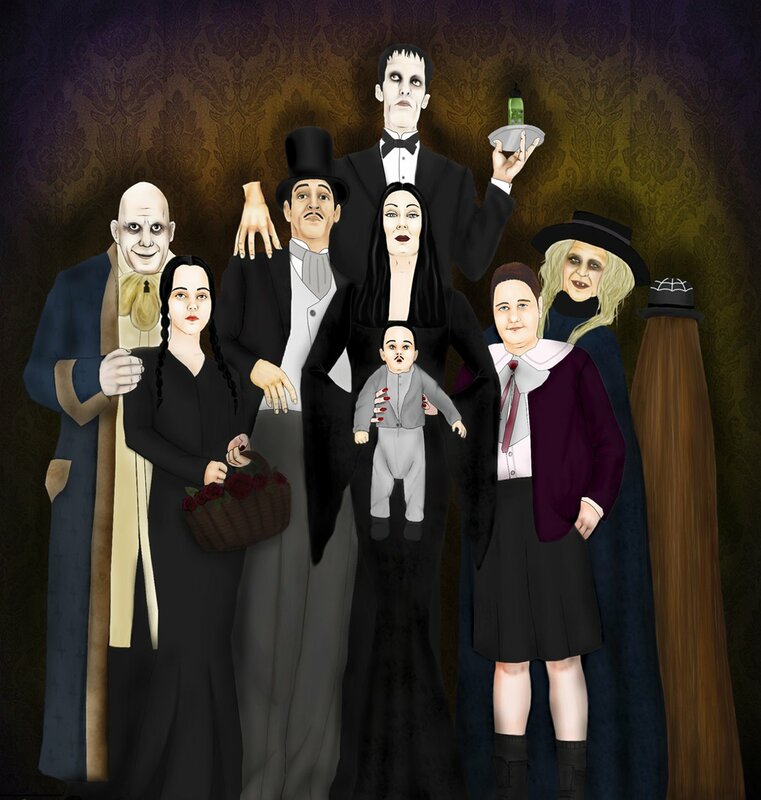 In front of the building there is also a sculpture of the silhouettes of Addams Family characters. After attending Colgate University, Addams then studied at the Grand Central School of Art in New York City in 1931 and 1932. In 1933 he joined the layout department of True Detective magazine, where he had to retouch photos of corpses that appeared in the magazine’s stories to remove the blood from them. Addams complained that “A lot of those corpses were more interesting the way they were.” His first drawing in The New Yorker ran on February 6, 1932 (a sketch of a window washer), and his cartoons ran regularly in the magazine from 1938, when he drew the first instance of what came to be called the Addams Family, He remained a freelancer throughout that time. Addams sadly Passed Away on September 29, 1988 after having suffered a heart attack after parking his car. An ambulance took him from his apartment to the hospital, where he died in the emergency room. As he had requested, a wake was held rather than a funeral; he had wished to be remembered as a “good cartoonist”. He was cremated and his ashes were buried in the pet cemetery of his estate “The Swamp”.